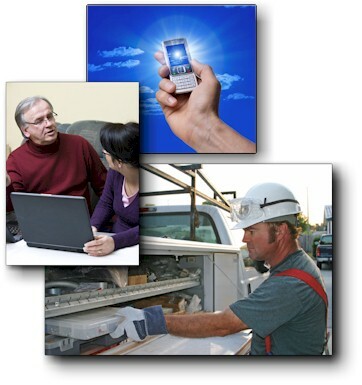 HVAC Software : Plumbing Software : Service Software : Dispatch Software & more. Newly released 2019 Version 8.21! Access Bottom Line from anywhere you have an Internet connection. Updates available for several versions, follow the Updates link above. You don't have to search for or call for a quote so we can justify high prices. Our affordable system prices are posted in plain sight below. Most complete service management system in the industry at this price! Includes 1 year of unlimited tech support. Conversion services are available to bring forward valuable information from your existing software so service history and customer information is available day one. The Bottom Line Service System© is a Windows based service management system designed specifically to meet the needs of customer service businesses. HVAC, Refrigeration, Plumbing, Electrical and Mechanical service and installation companies use our system with a great deal of success. If YOU fall into one of these categories, we invite you to take a look at our Software overview and download our FREE DEMO, which you can review on your own computer at your leisure. HVAC Software, Plumbing Software, Dispatch Software & Service Software designed by career computer professionals. Bottom Line Software, Inc. in business since 1988. System since 1989... Windows system since 1994. Our software runs on any Windows platform including the New Windows 10(tm) operating system. Existing customers can upgrade to our latest version at a very reasonable price. Single user, 2 user, 3 user and true unlimited network versions available. Our New Cloud Based System is available as an add-on for all versions. Annual upgrades based upon CUSTOMER'S requests. FREE unlimited E-mail support for one year after purchase of new systems or upgrades. HVAC Software, Plumbing Software, Service Software & Dispatch Software designed to meet the needs of YOUR business. FREE system updates can be obtained from web site. Industry leader in HVAC Software, Plumbing Software, Service Software, Flat Rate Software, Dispatch Software & Service Software. The Bottom Line Service System is time-tested, HVAC Software, Plumbing Software & Service Software that has been helping contractors since 1989. Our office hours are 8:00 to 5:00 Pacific Standard Time, Monday thru Thursday excluding holidays. Copyright © 1989-2018 [Bottom Line Software, Inc.] All rights reserved. Web Site created, produced and maintained entirely by Bottom Line Software.